God availed our dear brother Nelson Mandela with the opportunity to change the world and he did. He was born in 1918 under the oppressive apartheid system. His voice grew and evolved to become the most distinct voice of the South African Anti-Apartheid Movement. Social justice activists around the world were inspired by his selfless energy. 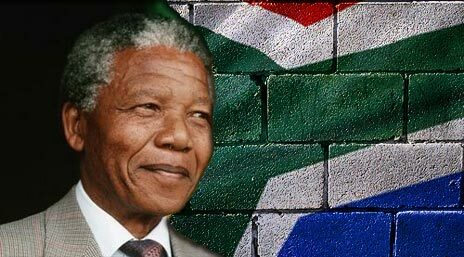 Nelson Mandela changed the world! If one were to use a metaphor to describe Mr. Mandela’s life, perhaps, he could best be described as a towering 400 foot tall redwood. His towering presence was only enhanced by his longevity and timeless relevance. Now we see that his tree, like many of the trees before him has been chopped and all that remains is the remnant; the memory of the redwood; its very stump. Even though his tree has been removed from our earthly gaze, the remnant has roots that go deep into the earth some 400, 500, or 600 feet. From those roots there will sprout related shoots. Our brother, Nelson was blessed and he chose to live into his blessings. Now, after 95 years his tree has be chopped down to its flattened stump. Death is indeed a way that we will have our trees chopped down. Perhaps, our trees are chopped down when we face serious illness. Or, we are chopped when we lose our jobs–or say goodbye to a loved one. However, when we are chopped, that is not the last word. Our roots go deep underground and we are fed nutrients by God. Even though we may experience death and brokenness in our lives–our energy, our legacies will continue. We say goodbye to Mr. Mandela. But, his roots will produce shoots that will continue to bear fruit deep into the future. Likewise, I pray that your roots may also produce shoots that bear fruit for the Kingdom of God.